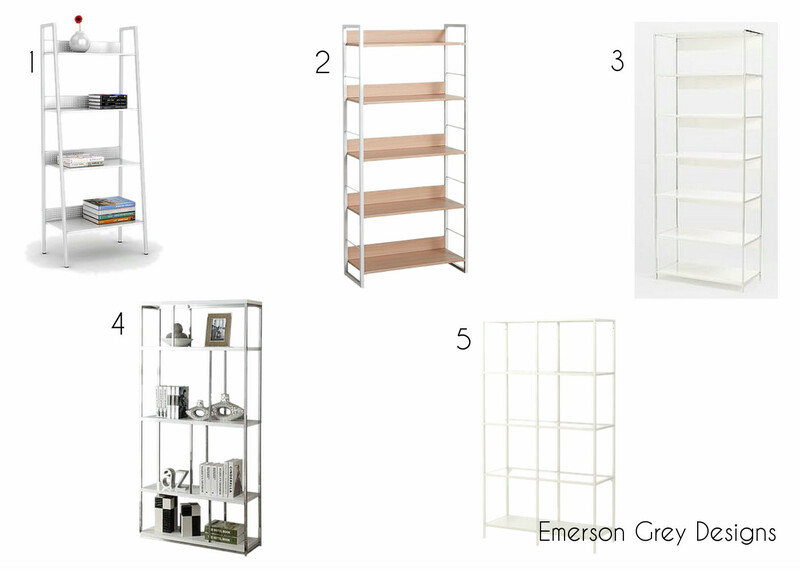 I was on the hunt for a simple white bookcase the other day for a client’s space. I didn’t want it too heavy or chunky, I wanted plenty of shelves and I knew I wanted it to be metal. My wants were definitely pretty specific so it made my search extensive. In the process of my search I saw a few other really great options that would be a nice piece for any room.